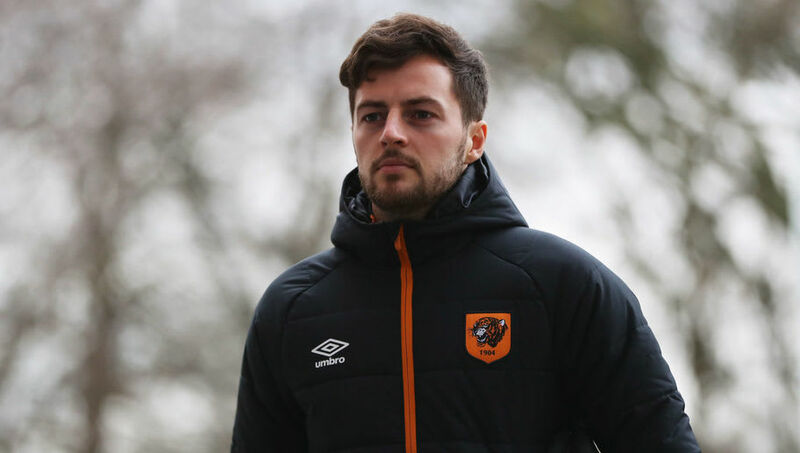 ​Former Tottenham Hotspur and Hull City midfielder Ryan Mason has revealed the extent of the damage that he suffered from the 2017 fractured skull that ended his career and threatened his life, recounting in great detail the course of events and how he continues to live in the aftermath, still suffering and striving to overcome the long lasting effects. Having emerged from the youth setup at Spurs and established himself in the first team, Mason was halfway through a maiden campaign with Hull when a routine Premier League match against Chelsea at Stamford Bridge changed altered the course of his future. Describing the moment it happened, the one-cap England international told FourFourTwo, "Chelsea] had a corner. The ball came in, I jumped to head it clear, and suddenly I felt this force crashing through my skull. It was the worst pain imaginable. "People assume I won't remember it, but I do. I can remember the doctor running on, the immense pain, going through all the standard checks after any head injury. Your body goes into a natural state of panic and self-preservation when you get badly hurt - it knows when there's something massively wrong. The pain was unbearable; it was like a bomb going off in my head, right on the temple." Mason explained that it was the decision of Tigers club doctor Mark Waller not to take him to the nearest hospital, but to specifically go to St Mary's in central London. Looking back, Mason, who was immediately showing signs of potential brain damage, said it was crucial. "That decision probably saved my life. If we had gone to one of the nearer hospitals, I'd have probably had a scan and then been referred to St Mary's, which would have wasted valuable time," he explained. "I was being operated on 61 minutes after the injury." Mason revealed that doctors waited around six months to fully inform him of the treatment he had undergone and all the measures taken over fears the scale of it could be overwhelming. "In total, I have 14 metal plates in my skull, with 28 screws to hold them in place. There were 45 staples and a six-inch scar across my head. Picking the staples out definitely wasn't pleasant. "Even now I can feel it all there. I'm aware of it all the time. The best way I can explain the feeling is to compare it to that headrush you get when you've sat watching television for three hours, then jump up to answer the door. "Imagine that, but for every minute of every day. When I get a headache now, the pain is excruciating. If I lean over, I feel a rush of pressure to that side of my head. It's not something I can forget about for very long." Mason had to persevere with a tingling feeling in his face while nerve endings that had been cut during the emergency surgery reconnected, and it wasn't until 10 weeks after the injury that he could actually properly open his mouth again. It had made even simple tasks like drinking from a glass extremely challenging, while balance issues affected his ability to walk. A mere four months after nearly losing his life, Mason was already thinking about when he might return to playing and even admitted that by January 2018, a year after the accident, he believed he was just "a few weeks away" from getting back onto the pitch at first team level. It was only after a further scan in February that he was warned of the danger of suffering serious brain injuries if he made a return to professional football - developing dementia or epilepsy within just a couple of years simply by heading the ball. That then informed his decision to retire. Yet despite his career being cut short in the cruellest way, Mason is looking back on his days as a professional footballer with fond memories -"I can say I ticked all the boxes I wanted to tick as a player...I absolutely have no regrets."